A favorite part of the MCM Health & Fitness Expo experience is hearing from experts. 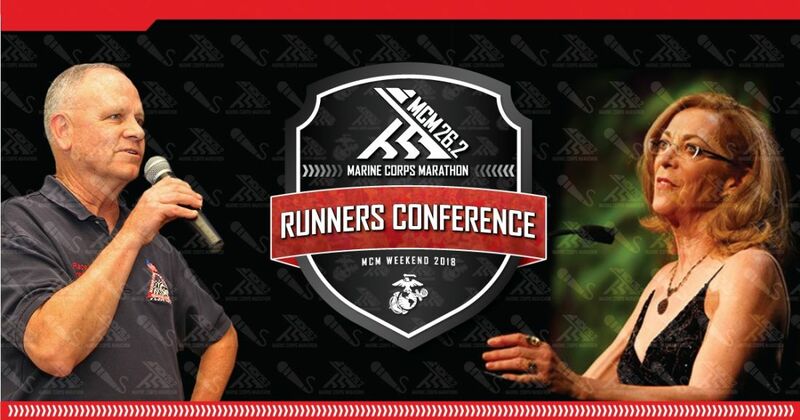 The lineup of speakers for the MCM Runners Conference has been announced and includes international icons, insiders and hall of famers talking about the MCM, health, training and inspiration. Special new attraction as part of this year's lineup- Pacers will host a live recording of the popular Pace the Nation podcast. Reserved seating is now available. Runners and guests may secure a spot in preferred sessions at no cost or may access the sessions on a walk-in/as available basis throughout the weekend. The MCM Runners Conference will be located on the exhibit floor of the MCM Health & Fitness Expo presented by Cigna in Hall C adjacent to the MCM Brooks Store. 12:00 PM-1:00 PM Meet Kathrine Switzer and Roger Robinson. Meet the iconic athlete, author, and advocate for sports and social causes, Kathrine Switzer, and internationally acclaimed writer and speaker, Roger Robinson. 1:15 PM-2:15 PM MedStar Sports Medicine presents - Everyone Can Exercise! Getting and Staying Active with Diabetes, Hypertension and Asthma. Hear from experts from MedStar, the sports medicine provider of choice in the Mid Atlantic Region and a nationally recognized leader in sports health and safety. 3:45 PM - 5:00 PM Meet the MCM Director Rick Nealis. Inducted into the MCM Hall of Fame in 2017, Rick has been organizing the MCM for 25 years and has undeniable energy and enthusiasm when talking about "The People's Marathon." 12:00 PM - 1:00 PM Behind the wear blue Mile. wear blue honors the service and sacrifice of the American military by supporting military and Gold Star families, veterans and civilians through active remembrance including the powerful and moving wear blue Mile on the MCM course. 1:15 PM - 2:15 PM. Meet Kathrine Switzer and Roger Robinson. 2:30 PM - 3:30 PM Pacers "Pace the Nation" Live Podcast. Chris Farley, owner of Pacers Running, hosts a live recording of the popular Pace the Nation podcast. 3:45 PM - 4:45 PM "Run for Your Life" with LtCol Mark Cucuzzella. Air Force Reserve Lt. Col. (Dr.) Mark Cucuzzella is a Professor at West Virginia University School of Medicine and recent inductee into the MCM Hall of Fame. He designs programs to promote healthier and better running in the military. He's a competitive runner for over 35 years with more than 100 marathon and ultramarathon finishes.